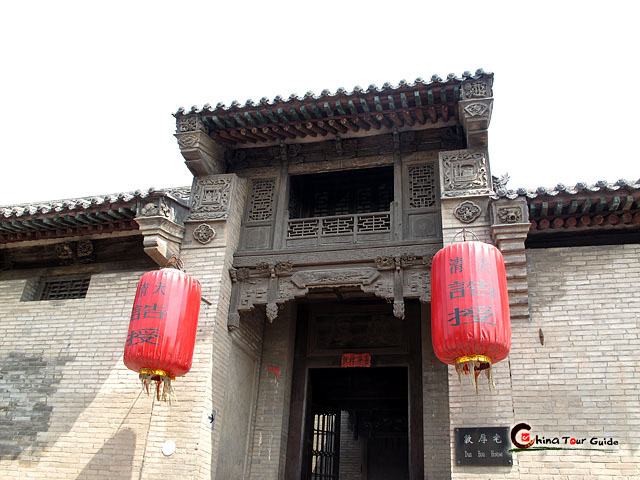 The ancient city of Pingyao in central Shanxi Province has retained the look and feel of ancient times and serves as an outstanding model of a traditional Han city during the Ming(1368-1644) and Qing(1644-1911) dynasties. 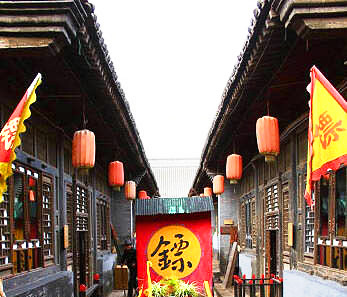 Historians trace Pingyao back 2700 years, with the height of its glory occurring during these two dynasties. 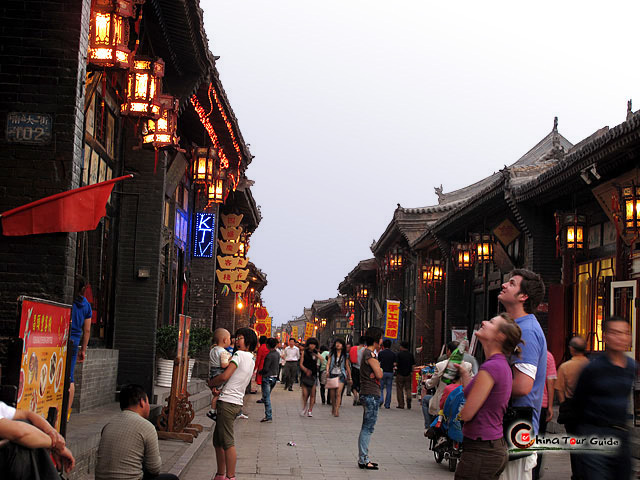 The urban landscape of Pingyao has been preserved remarkably well. 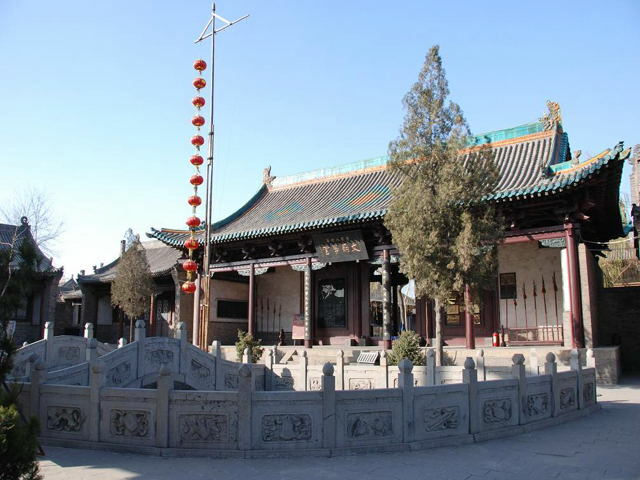 Even today the city wall, streets, stores, temples and residential housing look much the same as when it was the county's administrative seat in the Ming and Qing dynasties. 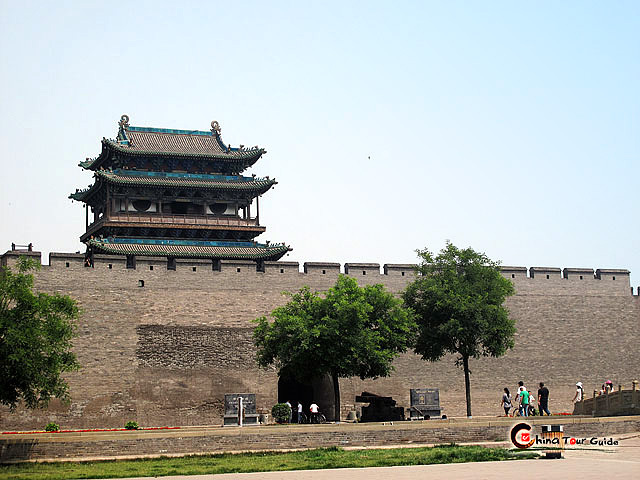 The city wall stretches for about six kilometers. The town is protected by a city moat, both three meters(9.6 ft.) deep and wide. Outside the city gate is a drawbridge. Within the city, there are 4 major streets and 8 small streets joined together by 72 lanes. 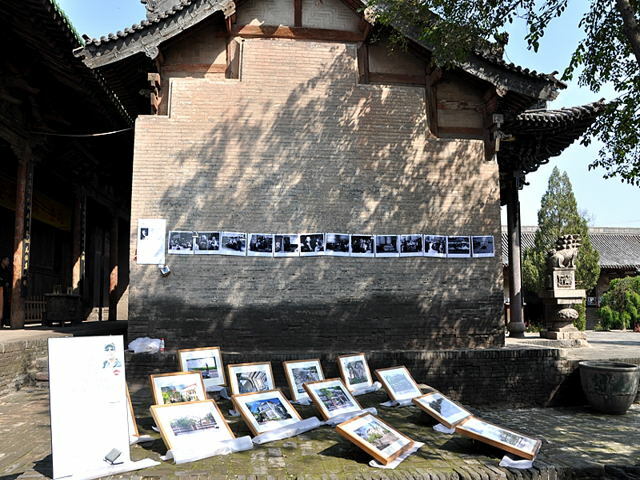 The 3,797 original quadrangle residential houses are all of the same black-colored bricks and gray-colored tiles. Of these, over 400 are still well preserved today. 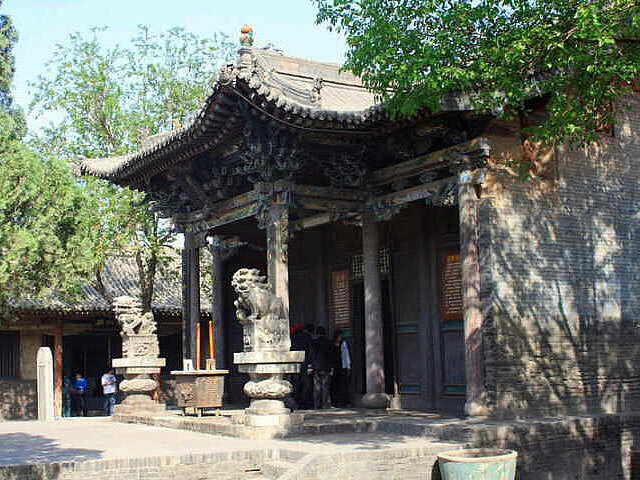 The ancient city was designed strictly according to China' traditional archaeological thoughts. It is square and upright and all streets cross each other horizontally and vertically, as if on a grid. A main street from north to south divides the town into two parts with the city tower located in the center. 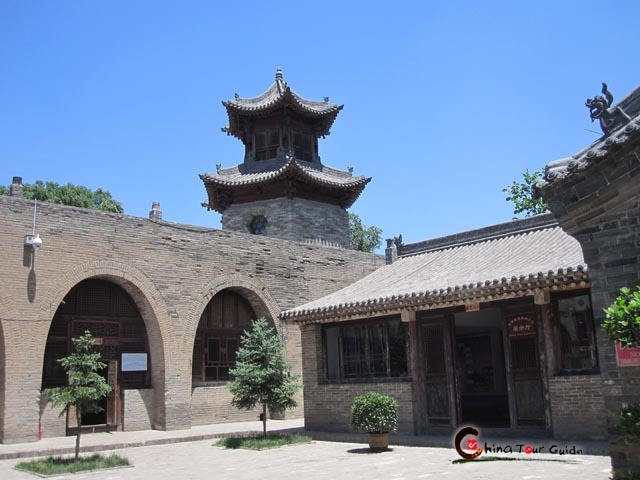 The overall shape of Pingyao Ancient City is quite qualified as City of Turtle. The city is guarded by six city walls, two on the North-South line and four on the East-West line. 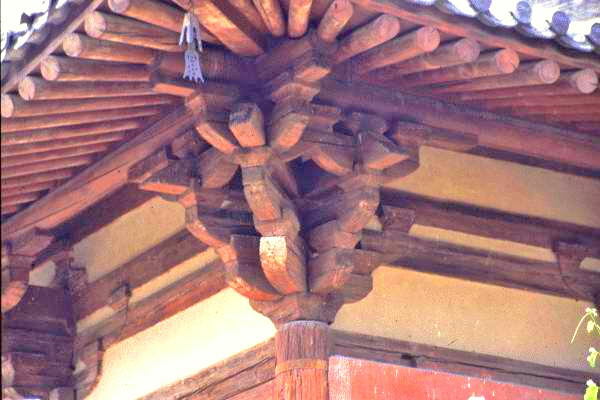 The South City Wall serves as the head of the turtle; nearby the wall are a pair of wells, representing the eyes of the turtle. The other four city walls stand for limbs of the holy animal. 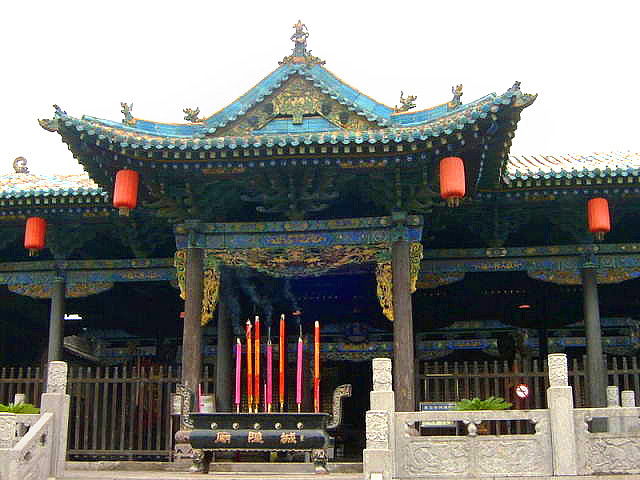 The founders of Pingyao City argued that under the bless of such a long-life animal, the city would last forever. 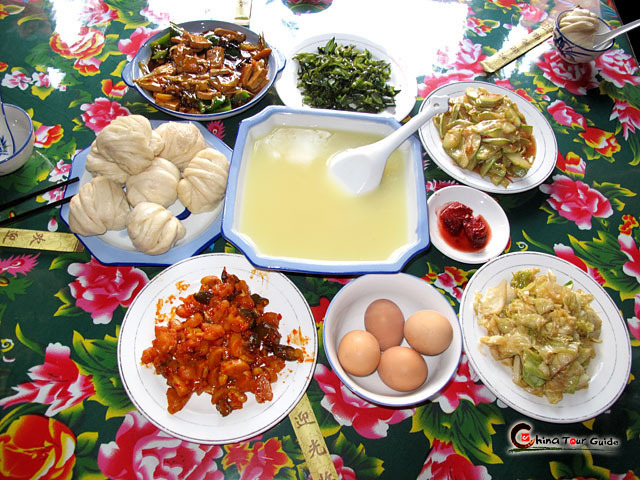 To their happiness, the strong time-honor Pingyao City seems to prove what they thought was right. 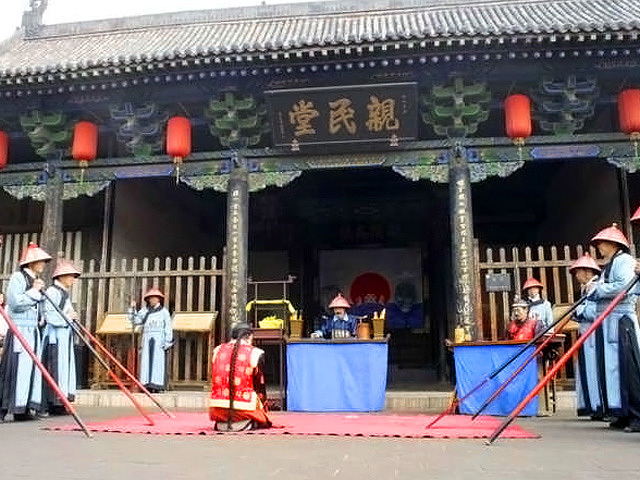 Apart from worship of turtle, Pingyao Ancient City tells the visitors the intense influence of Confucius. 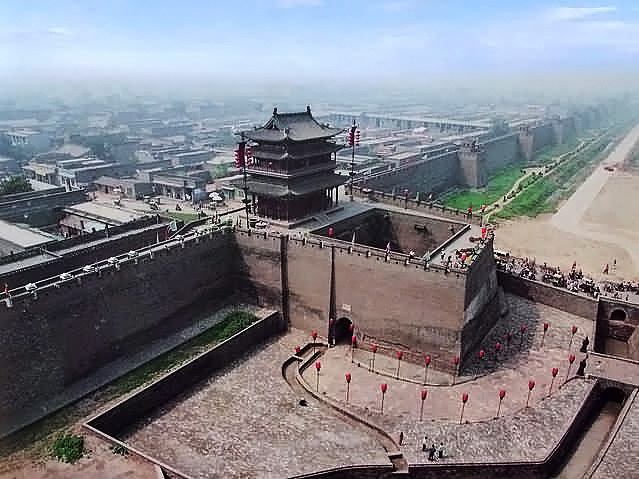 The six city walls boast 72 towers and 3,000 battlements, embleming 72 outstanding students and the whole 3,000 students under the guidance of Confucius. 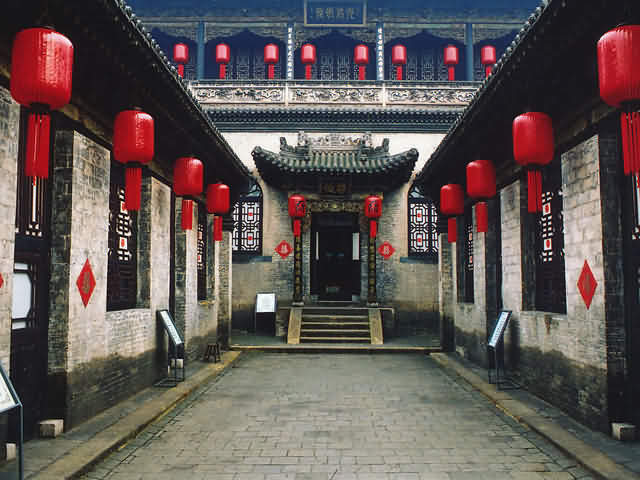 Located on the trade route between Beijing and Xi'an, Pingyao developed into a merchant center where enterprising locals set up the nation's earliest banks. These institutions were the first in China to use checks. 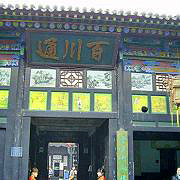 Business peaked in the 19th Century, when the city was the undisputed financial center of the Qing government. 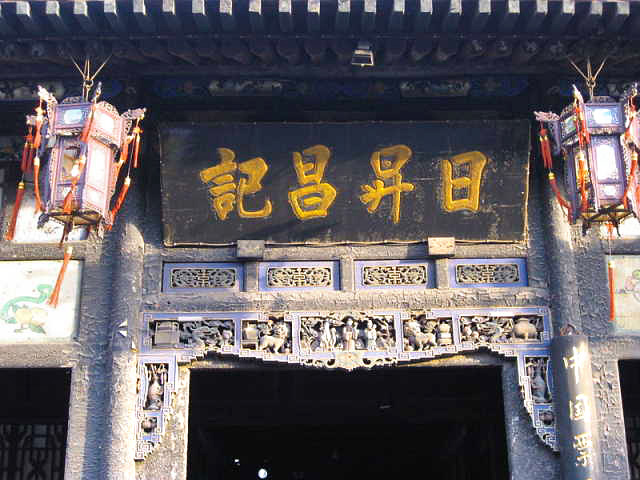 Most of the local people in Pingyao are descendants of business families. 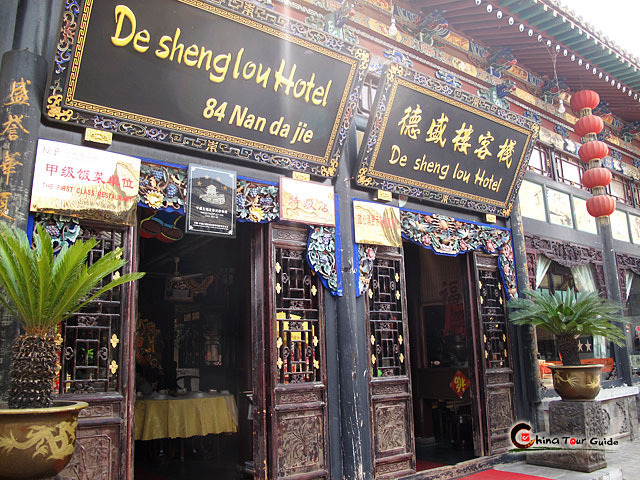 Business was so influential and important in that area that a special name Shanxi Commercial Group(called Jin Shang in Chinese) was given to the business people in Pingyao and Shanxi province and they were quite famous around the country during Ming and Qing dynasties. 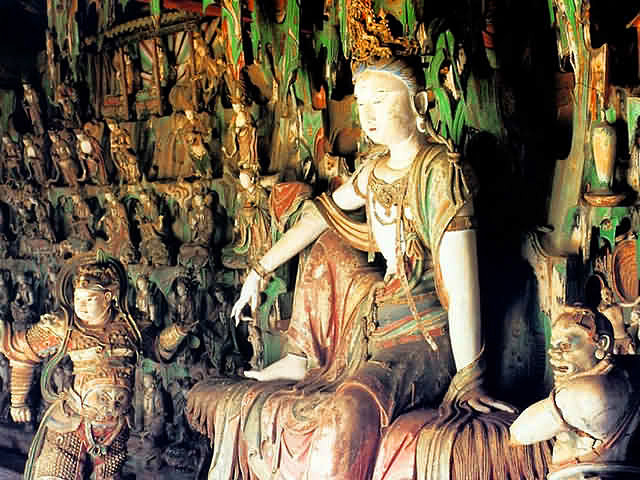 The ancient city presents a lively picture of the cultural, social, economic, and religious life of the Han people about 100 to 600 years ago. Walking through and exploring the city's buildings, streets, and wall will be like taking a walk back in time. 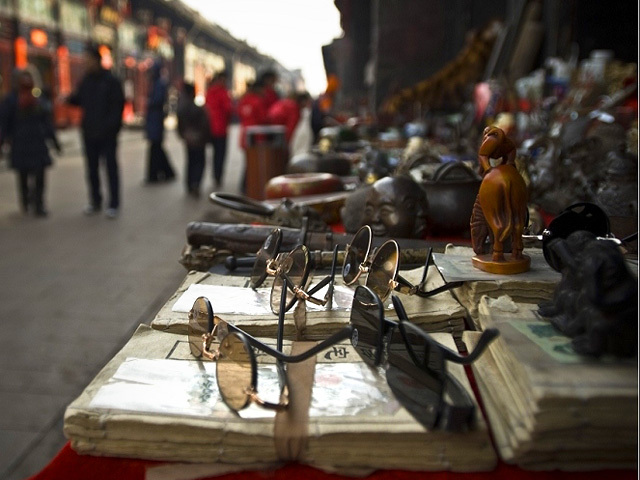 Please click " " to add the attraction in you favorite list, let us plan a private Pingyao Tour for you.